The boys are back in town! 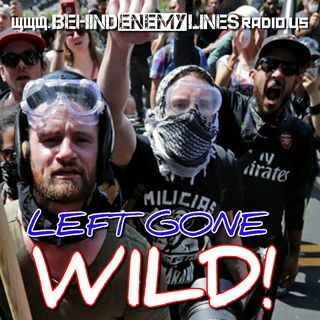 Gene Berardelli and Russell Gallo catch up on lost time, discussing a ton of topics in the news, from the continuing Kavanaugh fallout to Antifa out of control in Portland and the "People's Republic of" New York and even the first poll of the 2020 Presidential race! Russell and Gene even renew their long standing argument over the role of the Supreme Court in government - a real wonk-fest! Then, the show welcomes longtime friend Amanda Head. ... See More Currently the spokesperson for The Committee to Defend the President, and a rising conservative rock star making regular appearance on Fox News programming, as well as running her "Hollywood Conservative" website and corresponding for America's Voice, Amanda gives BEL a firsthand account of her experiences working with the Senate campaign for Marsha Blackburn in Tennessee.